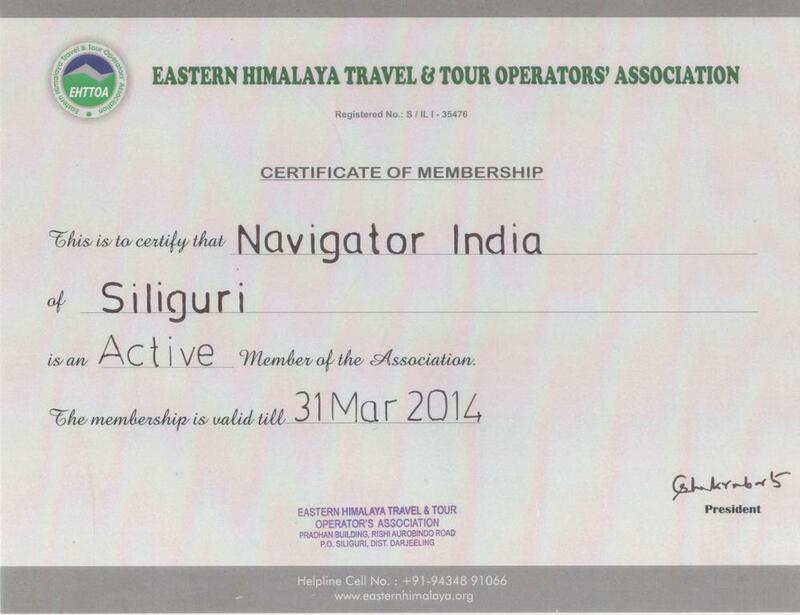 Navigator India offers some exclusive tour packages for North East India; Darjeeling Sikkim Bhutan & Dooars. Please o through some of our tour packages listed below. Price starts as low as from Rs.5,500/-. Packages can be customised according to your requirement. Autumn (Mid Sep to Nov): Just after monsoon this is probably the best time to travel with clear sky & moderate temperature. It is also a good time for photography. Winter (Dec to Feb): These are the coolest months & some part of the region receives a good volume of snowfall. One can have snow in North district & part of East district. Eastern Himalaya is a place with some of the highest snow capped peaks of the world & this is the best time to see snowfall & snow capped mountains. Spring (March to April): it is considered a very good season with moderate temperature. This is the time for rhododendrons, orchids & various flowers. Snow will also be visible in some parts of the region. Summer (May to Jun): as summer is not very hot in Sikkim. It draws the maximum no of tourist. Most of the regions of the state experience a temperature clime & it ranges from 18C (64F) to 25C (78F). Monsoon (Jul to Mid Sep): this is the time when the state gets maximum rainfall. Sikkim is an ideal place to enjoy Indian monsoon with lush green valleys, hills along with beautiful clouds & fog. But heavy rain increases the risk of landslide during monsoon. Circuit : Siliguri / Bagdogra – Darjeeling 2 Nights – Gangtok 2 Nights – Kalimpong 2 Nights – Siliguri / Bagdogra. Duration : 3 nights- 4 days. Circuit : Siliguri / Bagdogra – Darjeeling 2N – Kalimpong 1N – Gorumara 2N – Jaldapara 1N- Siliguri/Bagdogra. Circuit : Kolkata/ Delhi – Paro- Thimphu (2nts)- Punakha (2nt)- Gangtey Monastery- Phobjikha Valley – Paro (2nts) –Kolkata/ Delhi. Price Range : Rs.17,000/- to Rs.29,500/- per head. Circuit : Siliguri/Bagdogra- Phuentsholing/ Jaigaon 1N- Thimphu 2N – Punakha – Paro 2N – Phuentsholing/ Jaigaon 1N – Siliguri/Bagdogra. 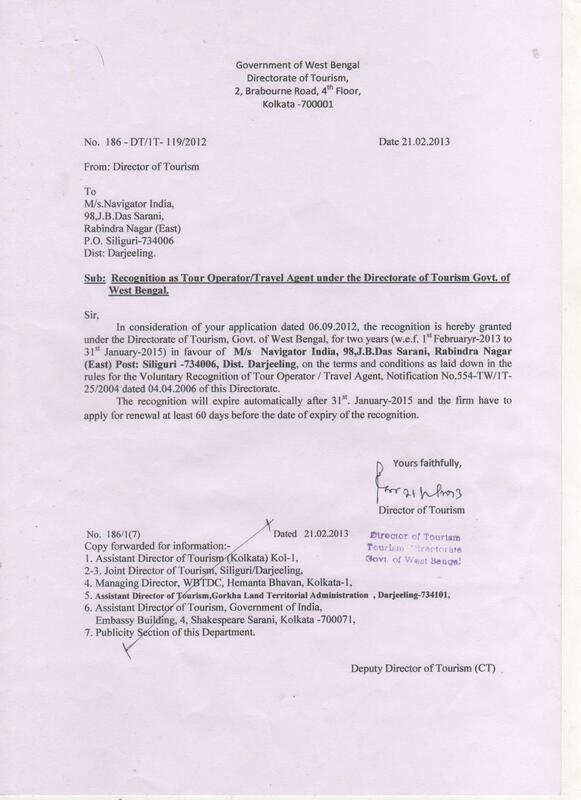 Circuit : Siliguri / Bagdogra – Phuntsholing 1N – Thimpu 2N – Paro 1N – Phuntsholing 1N – Siliguri / Bagdogra.